We know that computer is user dependent machine. It doesn't work or think on its own. All the activities of computer system are controlled and processed by the instructions and information provided by the user. These instruction are called commands. Collection of such instruction and the data in a systematic form to solve the problem is called the program. To solve the problem using computer we have to make some systematic plan of action. Such plan of action can be represented in the systematic order using different tools and technique called the program presentation tools and technique. 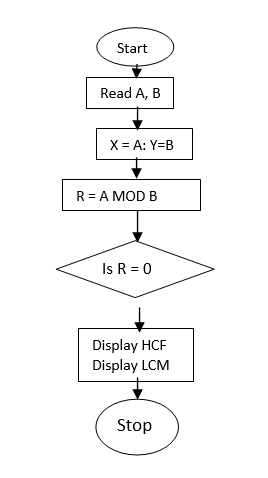 Popular tools and technique used to represent the programs are flowchart and algorithm. Algorithm is defined as a set of rules that define how a particular problem can be solved in finite number of steps. In another word, algorithm is a step by step representation of instructions to solve the problem. An algorithm must be composed of a finite set of steps, each of which may require one or more operations. Output: outcome values or solution of the problem. Definite: What should be done must be clearly defined. Effective: In finite amount of time it must be able to perform each step in finite amount. Finite: There must be finite number of steps or operations. Correct: Desirable and correct output must be able to generate. The step by step solution of a problem in a picture form is known as flowchart. It is one of the most important and oldest techniques to depict an algorithm. 1. Analyse the input, process, storage and output of the program. 2. 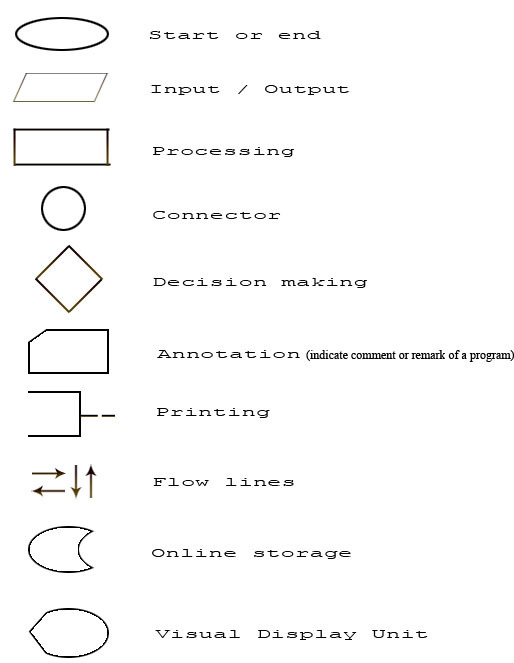 Use standard symbols and arrowhead to the direction of flow of data and instructions. 3. We should use easy word which can be easily understood by other programmer. 4. There should be a list of activities inside each symbol. 5. It should express all sections like input, process, logical and output. 6. It should not be any programming language oriented. Algorithm is defined as a set of rules that define how a particular problem can be solved in finite number of steps. System flowchart describes the sequence of processes to perform specific work. 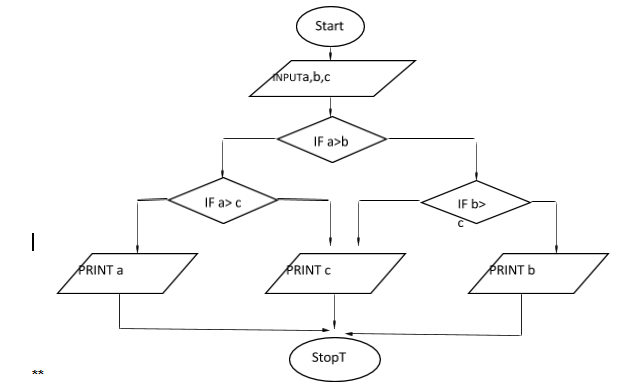 To represent the program, we have to use standard diagram called program flowchart. What is an algorithm? List the characteristic of an algorithm. An algorithm is a sequence of steps required to solve a particular problem. The concept of algorithm was given by ALKHOWARISMI. Each and every instruction should be precise and unambiguous. An algorithm should have finite number of steps. An algorithm should produce correct result. An algorithm should not use particular programming language. A notation used to express clearly on algorithm is known as ________. 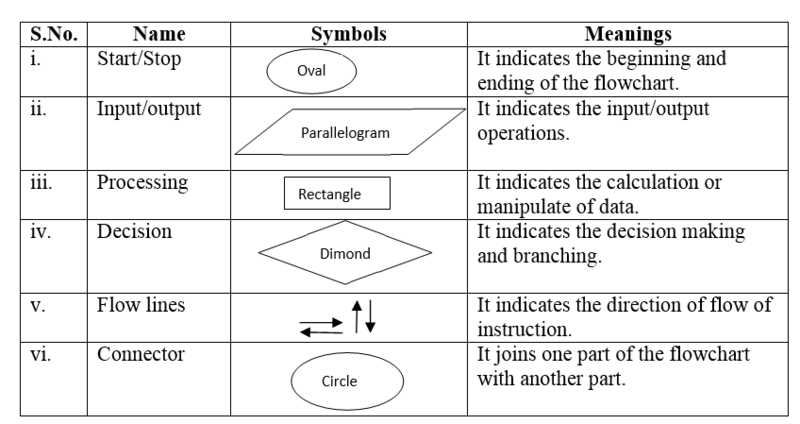 Which of the following is not the features of Algorithm? Any Questions on 'Algorithm, Flowchart and Its Types '?